Everyone loves the Weeders! They're fun, unique and fast selling. 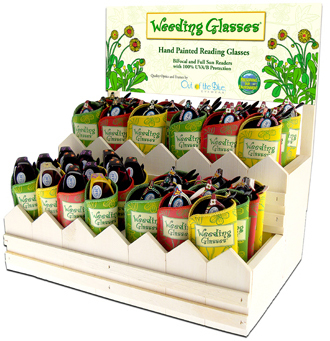 Our Weeding Glass display holds 48 beautifully hand painted readers in a unique, handcrafted wooden display. 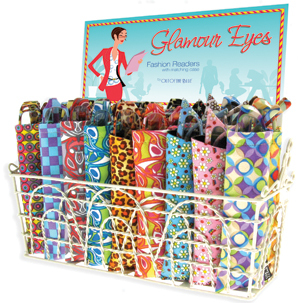 Readers come in a soft, padded vinyl case. 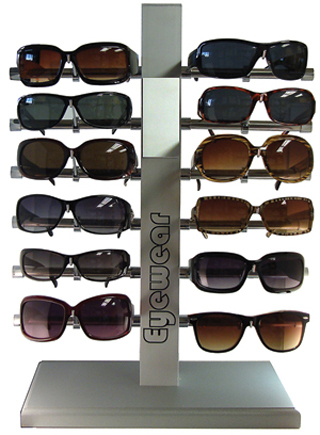 Display ships with our full Sunglass Readers and BiFocal Sunglass Readers, but can be ordered with a portion of clear readers on request. 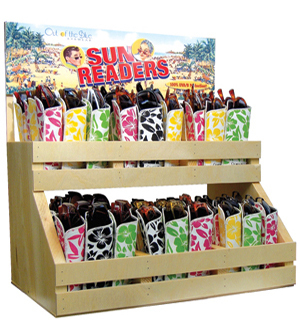 Up to 12 different floral patterns in each display. 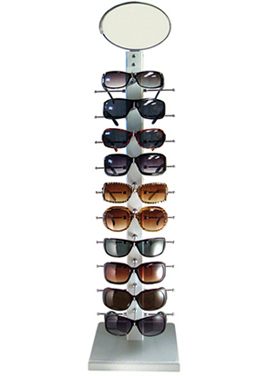 Out of the Blue Sunglass Readers have 100% UVA/B protection. 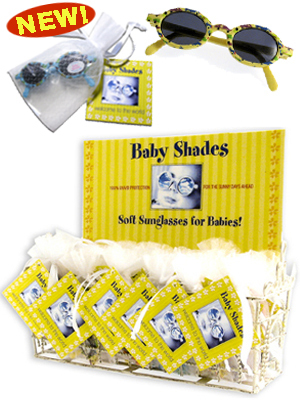 Weeding Glasses are hand picked and assembled in the United States. 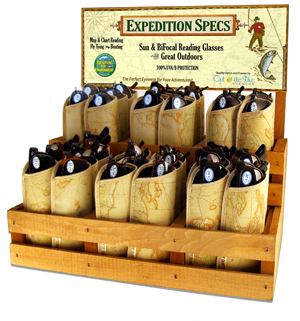 A portion of all Weeding Glass sales are donated to The Sierra Club Foundation.